Angela Merkel announced on Sunday she wants to run for a fourth term as German chancellor in next year’s election, a sign of stability after Britain’s vote to leave the European Union and the election of Donald Trump as the next U.S. president. The 62-year old conservative, facing a voter backlash over her open-door migrant policy, said she had thought long and hard before eventually deciding to stand again in the September election, ending months of speculation over her decision, reports Reuters. “The decision for a fourth term is – after 11 years in office – anything but trivial – for the country, the party and, I say it consciously in this order, for me personally,” she told reporters, striking a serious, almost somber, tone. “It is a decision not just for an election campaign but about the next four years … if health allows it,” she added after a meeting of senior members of her conservative Christian Democrat (CDU) party. An Emnid poll on Sunday showed that some 55 percent of Germans want Merkel, Germany’s eighth chancellor since World War Two, to serve a fourth term, with 39 percent against, indicating that despite setbacks, she is still an electoral asset. Merkel has steered Europe’s biggest economy through the financial crisis and euro zone debt crisis and has won respect internationally, for example with her efforts to help solve the conflict in Ukraine. U.S. President Barack Obama last week described her as an “outstanding” ally. With Trump’s victory in the United States and the rise in support for right-wing parties in several European states, some commentators see Merkel as a bastion of Western liberal values. 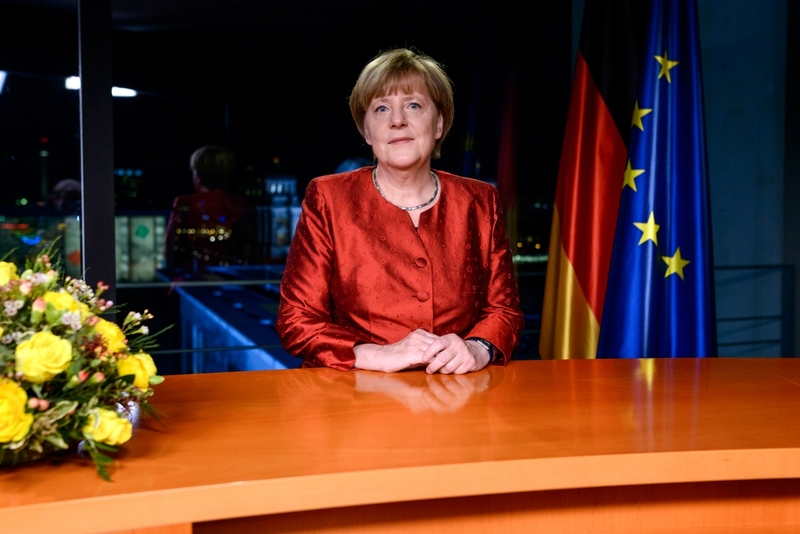 “Angela Merkel is the answer to the populism of this time. She is, as it were, the anti-Trump,” party ally Stanislaw Tillich, premier of the state of Saxony, told the RND newspaper group, adding she stood for reliability and predictability. However, she rejected the responsibility that was pushed onto her after Trump’s win as “grotesque and absurd”. “No person alone – even with the greatest experience – can change things in Germany, Europe and the world for the better, and certainly not the chancellor of Germany,” she said. Merkel’s decision last year to open Germany’s borders to around 900,000 migrants, mostly from war zones in the Middle East, angered many voters at home and dented her ratings.